Noel Gallagher’s daughter dressed up as her dad and she was the spitting image of the Oasis star. 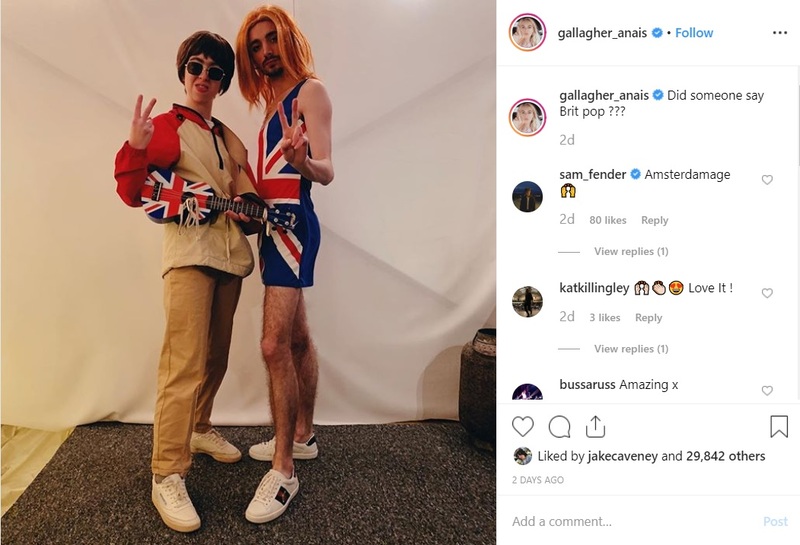 19-year-old Anaïs Gallagher reportedly attended an ‘icons of music’ fancy dress party this past weekend, and she didn’t have to look very far for outfit inspiration, considering her dad was a staple member of one of Britain’s biggest bands. She posed for a photo alongside Blossoms guitarist Josh Drewhurst, who adopted the look of Ginger Spice, Geri Halliwell, circa Brit Awards 1997, in a Union Jack-patterned dress and ginger wig. Anaïs opted to recreate the look her dad wore during the iconic Oasis Maine Road gigs of 1996, wearing khaki trousers and a tracksuit jacket. She completed her outfit with a brown Noel-style wig, a Union Jack-patterned guitar (okay, technically it was a ukulele), and sunglasses which, for all we know, could have been nicked right from her dad’s actual collection. The 19-year-old gestured a V sign towards the camera, and the resemblance between herself and dad Noel was absolutely spot on. There was just one small outfit flaw which set her apart from her dad, and that was her white trainers. But Anaïs owned up to the discrepancy, commenting ‘P.s I know my dad wore black trainers’. All in all, however, you really couldn’t fault her look. Did someone say Brit pop ??? Almost 30,000 people have liked the photo, and hundreds of impressed Instagram users took to the comments to share their astonishment at the 19-year-old’s impressive fancy dress outfit. Probably the best thing on the internet at the min. The Oasis legend hasn’t yet commented on his daughter’s well-executed tribute, though her mother Meg Matthews showed her approval as she shared the photo and wrote ‘Anais great fancy dress choice’. 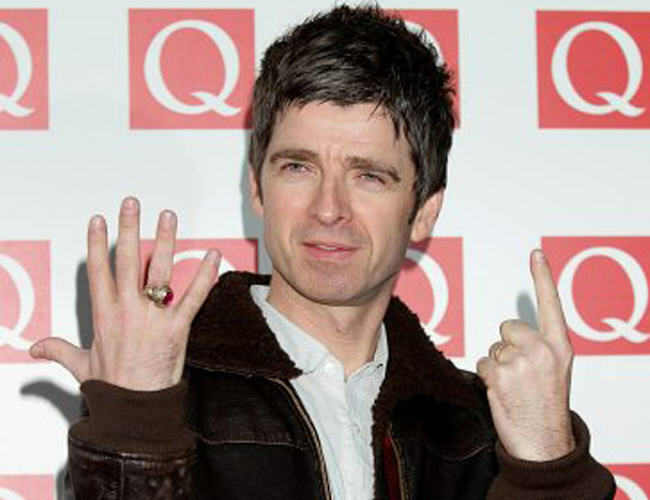 Noel was married to model Meg between 1997 and 2001, but following their divorce he married publicist Sara MacDonald in 2011. The couple have two children together, 11-year-old Donovan and eight-year-old Sonny. Anaïs has certainly set a very high bar for any Oasis fans who planned to transform into Noel at their next fancy dress party. I don’t think anyone will be able to nail the look more than his daughter!